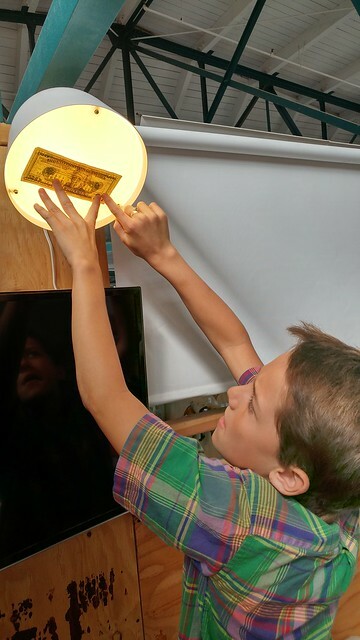 The Teal Band began their second week of the Coin Arc exploring US dollar bills in pretty much every way they could think of. 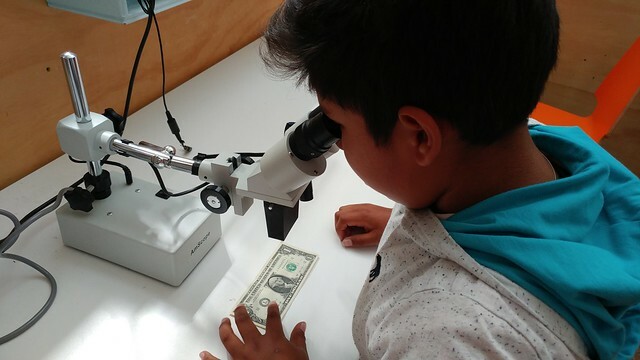 Hearing there is an owl hidden in the corner of the one dollar bill, the band called on Rich to lend them a dissection microscope to take a closer look. They all agree they saw one. We tried a number of techniques to look closer at the security thread in the $5, $10, $20 and $50 bills. The band looked for all the anticounterfeiting techniques used in the bills they were examining. These included the security thread and watermarks, as well as unique serial numbers. We recorded details of each bill we examined, including mottos, symbols of value, and drawings of people and places. Sometimes we even became the old, white men we found on the bills. 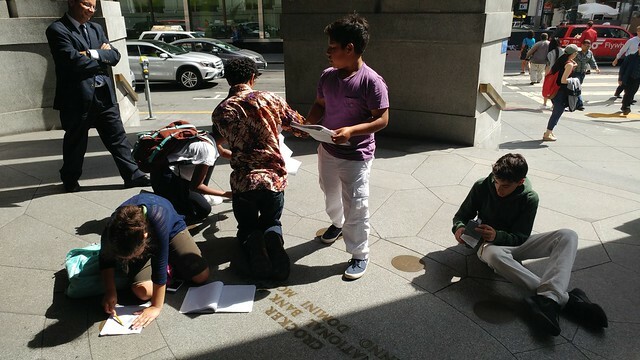 Reflecting on the symbols of value we found on the dollar bills the previous day, we went on a scavenger hunt for them and other symbols of value in the Financial District along with the Violet and Amber Bands. 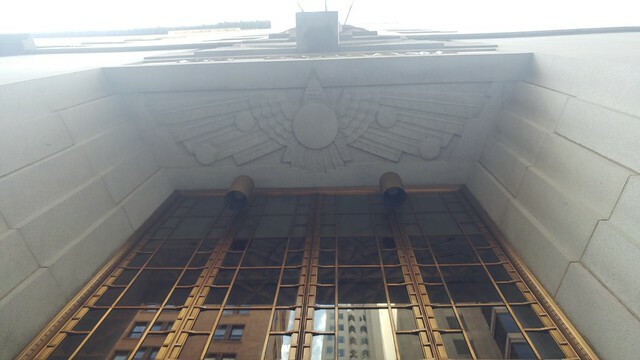 We certainly found a large number of eagles adorning the massive buildings, housing everything from banks to Starbucks to gyms. 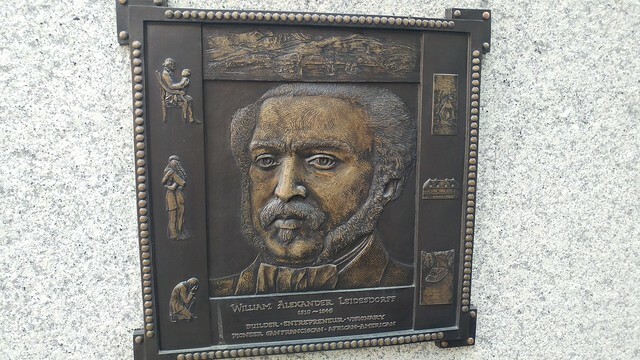 We learned about William Alexander Leidsdorff, a West Indian immigrant of African Cuban ancestry. 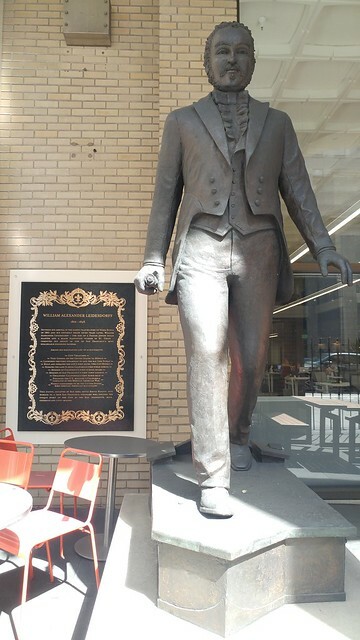 He built the City Hotel, the first hotel in San Francisco, and the first commercial shipping warehouse, along with becoming San Francisco’s first treasurer. Leidsdorff was also one of the earliest supporters of San Francisco’s public school system. He was good with money and knew where to put it. 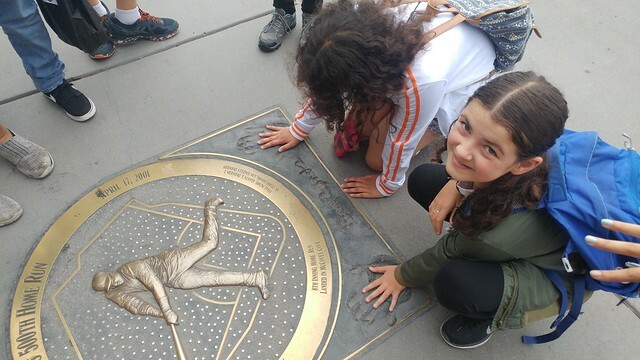 Continuing to look beyond just monetary currency in regards to symbols of value, we stopped to observe and take rubbings of our Zodiac signs in front of a Wells Fargo bank. It’s interesting to find out how different people value their Zodiac sign and the qualities attributed to them. 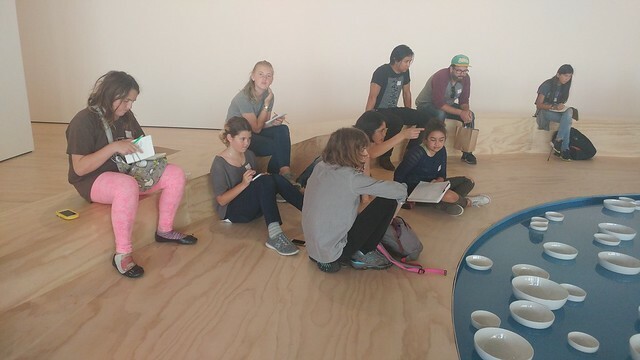 Moving on from the Financial District, we took our exploration of symbols of value to the SFMoMA. 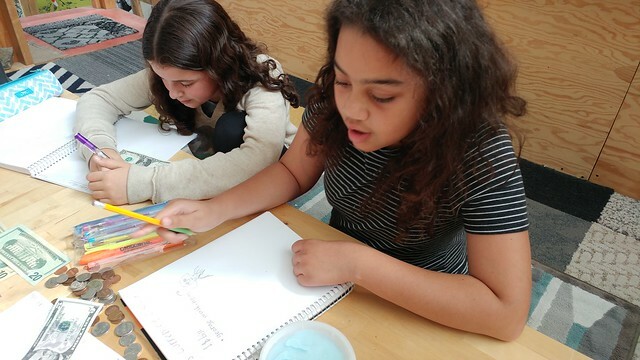 We found value in the artwork we encountered, especially those focused on sound. We valued the calm, meditative qualities of the bowls beautifully chiming as they came together in Céleste Boursier-Mougenot’s clinamen. 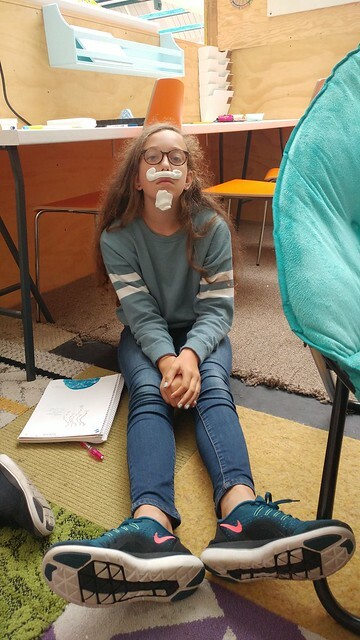 Many of us even discussed how we could build our own at Brightworks. Exploring a number of other works of art in Soundtracks, we reflected on how much we value our ability to hear. 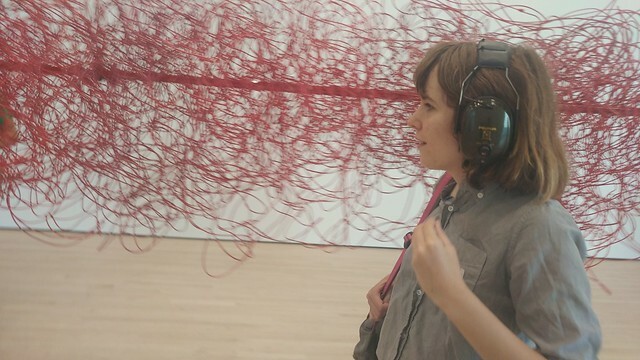 It is amazing to explore a piece of art, both silently and when accompanied by sound. 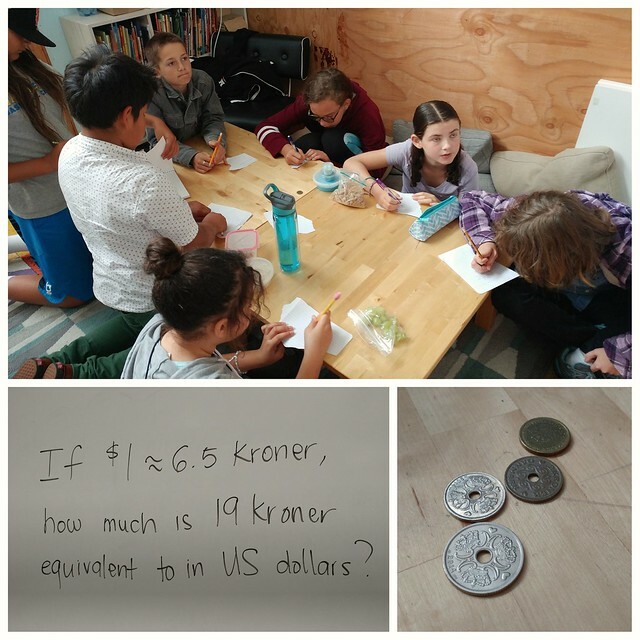 Thanks to a visit from the Danish Department of Education, we were handed a few Kroner and told their approximate conversion rate. This spurred an unplanned, but much enjoyed math lesson around converting international currency. Not only did the Teal Band solve the currency conversion problem, but they also got a crash course in decimals and mental math. In the end, they all said they wanted to do more conversion problems. Yay! Venturing back to the Financial District in the third week of the arc, the Teal and Violet Bands visited the Wells Fargo Museum. We quickly learned that we were standing in the exact location of the very first Wells Fargo bank. The tour guide threw many questions out to the two bands regarding the gold rush and even without any preparation before the trip, the bands proved to themselves that they had a lot of prior knowledge on the subject. 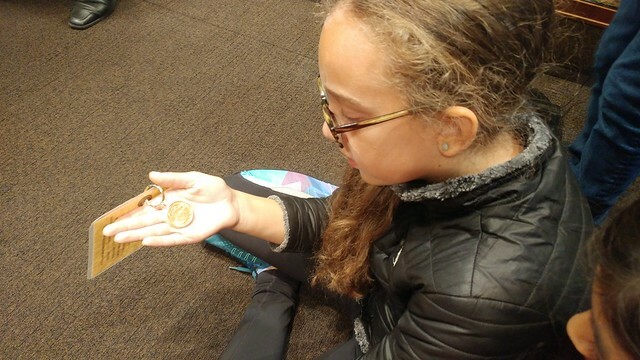 Do you know why the gold coins received in exchange for gold nuggets included a small percentage of copper? The Teal Band knew thanks to their lessons with Rich, and some old Rock Arc knowledge…gold is quite soft and pure gold coins would be malleable. 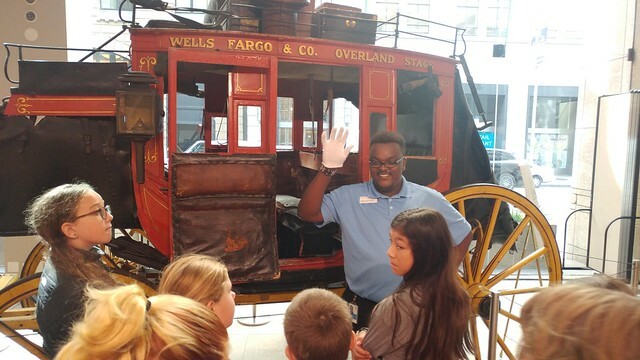 We learned about Wells Fargo’s stagecoach history of carrying money, people and mail across the US. How many times have you screamed, “SHOTGUN!” in hopes of riding in the front passenger seat of the car. Well, if you rode in that seat on the stagecoach, you’d certainly need a shotgun since it was your job to protect the bags of gold and money tucked under your feet. 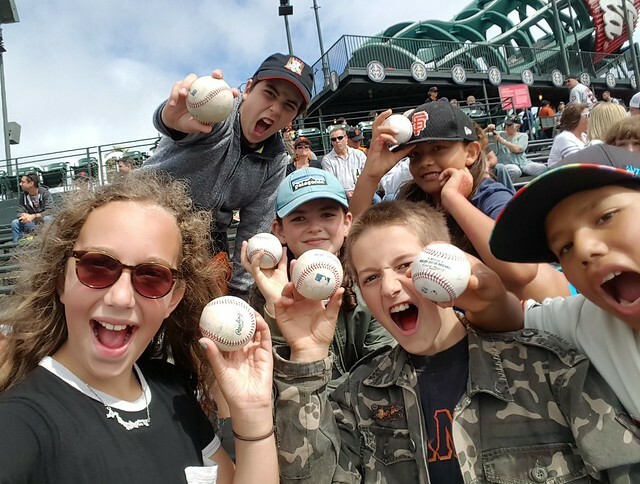 After all this money talk, who doesn’t value a day out at the ballpark with their friends? The Teal Band certainly values it, especially when tickets are as cheap as $6 a piece. We also value getting the chance to see how our hands compare to those of Barry Bonds. Thanks to our early arrival, we were able to make our way down next to the visiting bullpen mound. Getting this close to the field and the players afforded us the first two baseballs we collected that day. Looking out at the small crowd (for AT&T Park standards) of fans out at the ballpark, we got a quick visual lesson on supply and demand. When the team isn’t doing so well and the stands aren’t filling up, ticket prices drop dramatically to get more fans into the ballpark. This worked to get us in there. By the end of the third inning, the Teal Band had worked together to get enough balls tossed to them by players and coaches for everyone in the band who wanted one to have one. How do you think they upped the personal value of these balls? 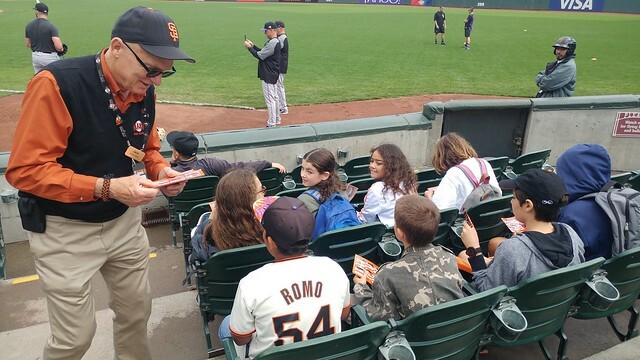 They got them signed by mascot Lou Seal himself. What did I value most that day? All those smiles and an usher coming up to me to say she’s never seen such a generous group of kids working together to make one another happy. The ballgame wasn’t all just fun and games, there certainly was some Coin Arc related activities going on beyond personal value. 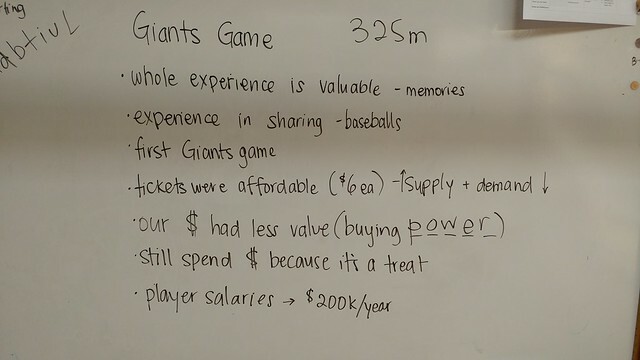 We completed a ballpark food pricing scavenger hunt that will grow into a lesson on food budgets, as well as lessons on supply and demand and buying power. 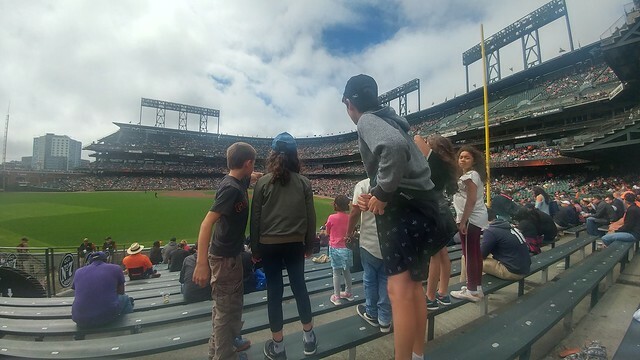 They are keeping their fingers crossed that the demand remains low and the supply stays high at the start of the season in April so that we can make a return trip to the ballpark at the end of the school year.